Oakdale Breakfast Club is a vibrant club with lots of fun activities for children to explore and share with their friends. Here friendly ,bright caring staff brighten even the dullest morning. Children enjoy a warm welcome in the familiar surroundings of their school. They enjoy a variety of cooked and cold breakfast choices daily. Fresh fruit is on offer daily with a wide range to choose from throughout the week. All meals are freshly prepared and children are supported to develop independant skills as they serve and prepare their breakfast themselves from the choice available. You will find the menu on the club board available for you at the entrance to discuss and choose with your child. During the session children enjoy art activities, role play opportunities reading and games with staff on hand to join in . Cheerful music is played each morning to get the children ready for an industrious day at school. Staff are on hand to support with homework and read to children. Maximum numbers for Oakdale are 30 per morning so be sure to book your places as they do go very fast. At Oakdale the Infant children enjoy playing in the playground with their friends before school. Children from Nursery to Year 2 are delivered to their teachers clean , tidy and focused ready to start their day. The children from the Junior school are walked across the road to their school to join their classes and friends at 8.50am. These children enter the playground soon after joining their class lines along with their friends under the watchful eye of our staff member. Where is the club held: Oakdale Infant School Dinning hall please use the school front door to access the club. 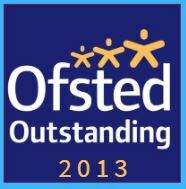 offsite @ Rightstart Daycare Horns Road, Ilford from 7.30am to 6.00pm.